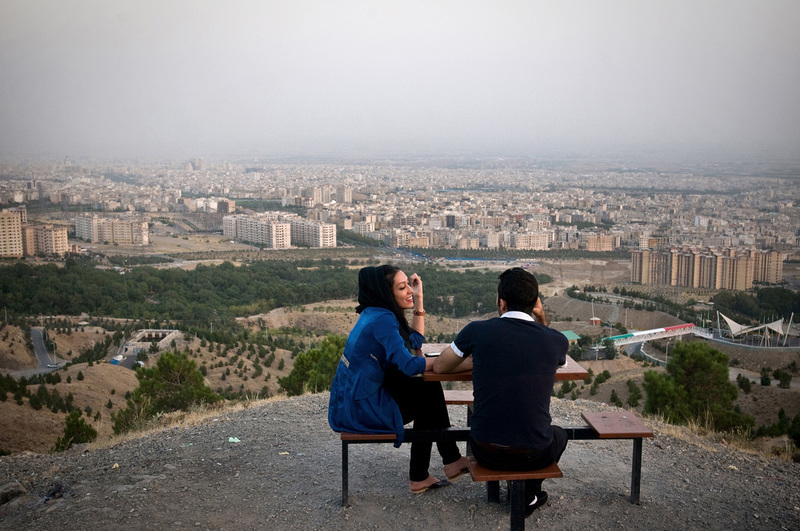 Samaneh and Shayan, a young pair rests on Kuhsar heights with a view over Tehran. A group of young men takes sun bath in a private complex in Northern Iran. Although Islamic morals are taken laxly in private areas in Northern Iran, gender segregation in the swimming pool is still strictly controlled. Maryam and Negar, young girls go to a gathering in Tehran. Kasra and his friends gather together while on a holiday trip in a villa in Northern Iran. Due to its milder climate the region around the Caspian Sea in Northern Iran has been a popular holiday destination for Iranians. Many of the urban middle class own real estate in this region. 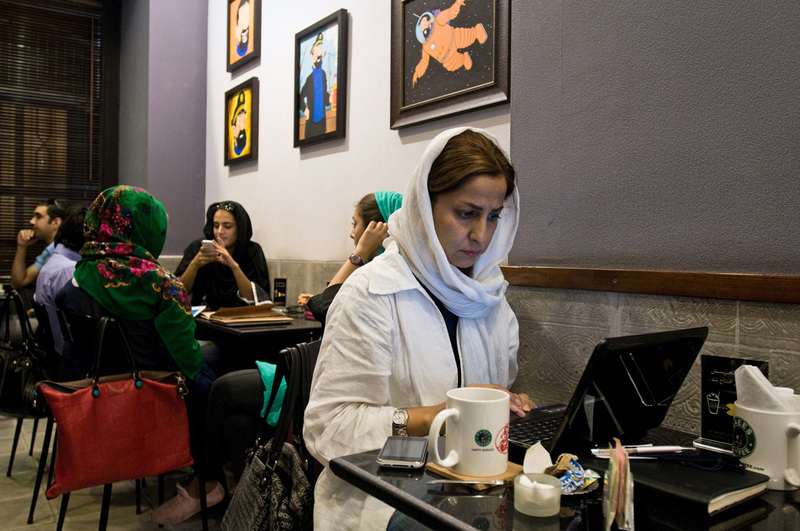 Ladan, works while enjoying the ambience in Cafe Raees in Tehran. The Cafe Raees is quite affected by "Starbucks". Bootleg franchise joints have been popping up in urban Iran one after another in recent years. Hamed, a local photographer during a photo shooting with the young models, Mojgan, Mojde and Afrooz in his Studio in Isfahan. Girls play backgammon in a villa in Northern Iran while resting during a short trip in Northern Iran. A pair during a private party over a weekend in Northern Iran. Hightech gadgets find their way to the country through Dubai despite the economic sanctions. 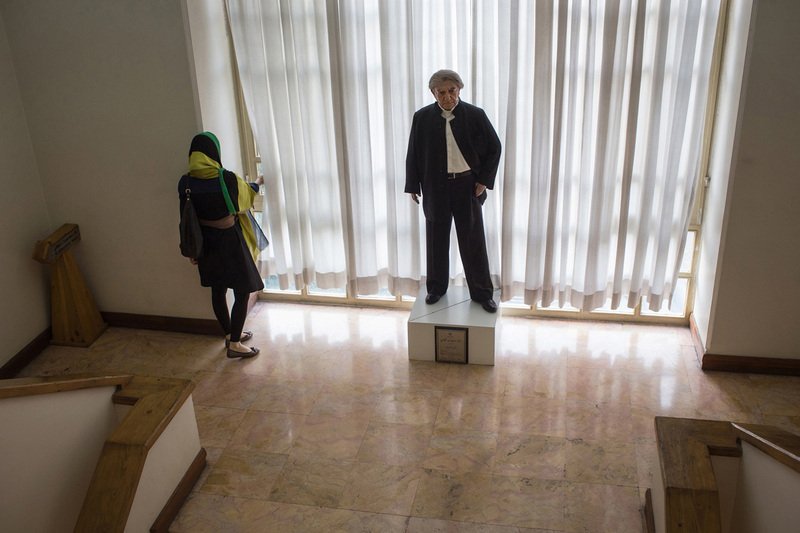 A wax figure of Iran's famous actor Ezatollah Entezami stands in the "Artist's house" in Tehran. Politics has always had an oscillating relationship with the Iranian cinema. Setayesh and Pariya before a party in a private complex in Northern Iran. During a private gathering in upscale Tehran neighborhood of Sa'adatabad. A wealthy young boy from Tehran prepares hash prior to smoke it in a car. Iran has a severe problem of drug addiction among youth. 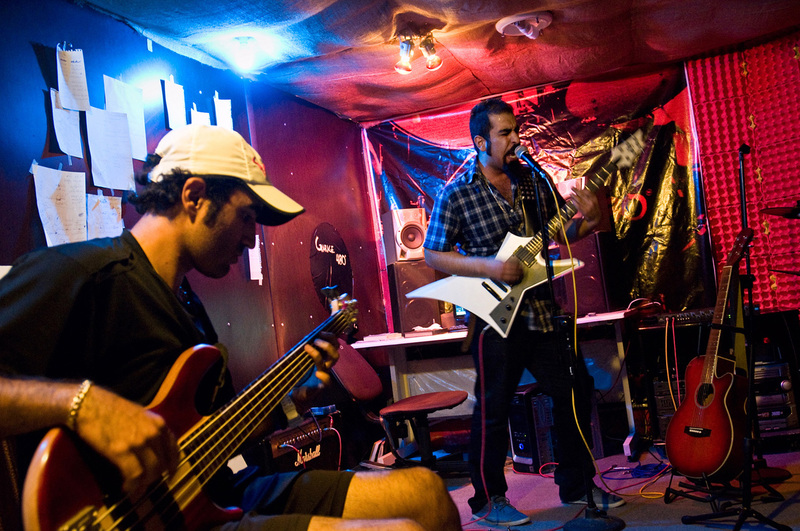 The underground band "Garage480" performs a training session in a basement in Isfahan. 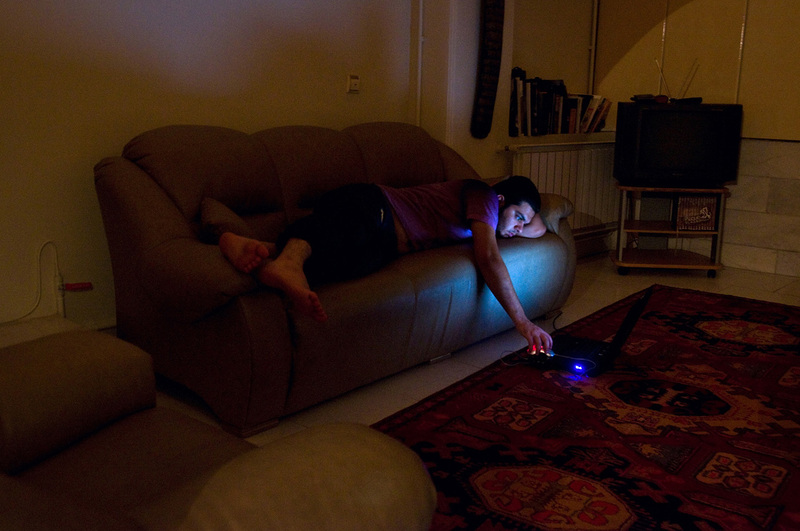 Sina surfs in the internet during the night in Tehran. Although many sites such as Youtube and Facebook are blocked, people may gain access to them by using a VPN. 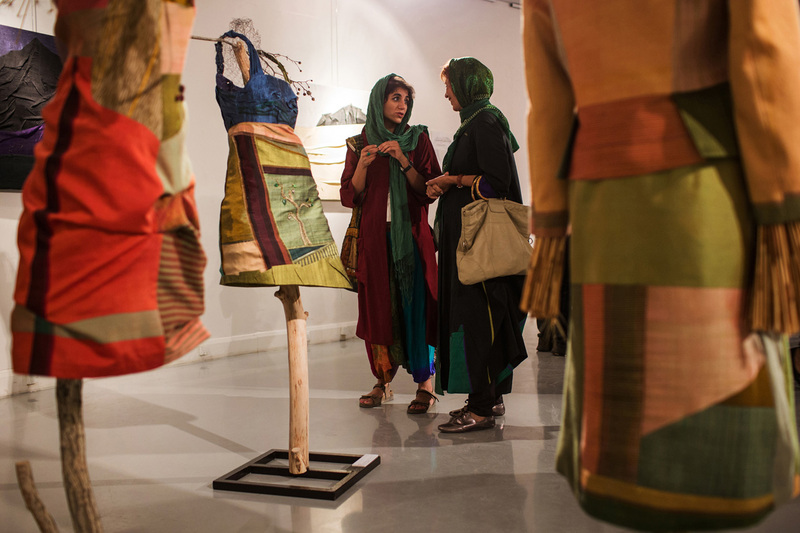 During an exhibition of modern clothing in the "Artist's house" in Tehran fashion made by the young designer Asadeh Yasaman is presented. Shora is being photographed by relatives during her wedding ceremony in Karaj, near Tehran. 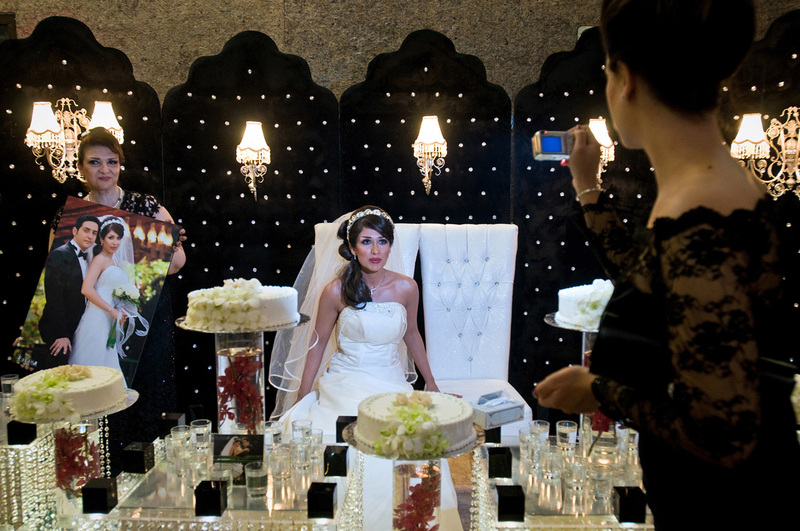 Modern weddings in Iran sometimes cost equal to 30 thousand dollars. 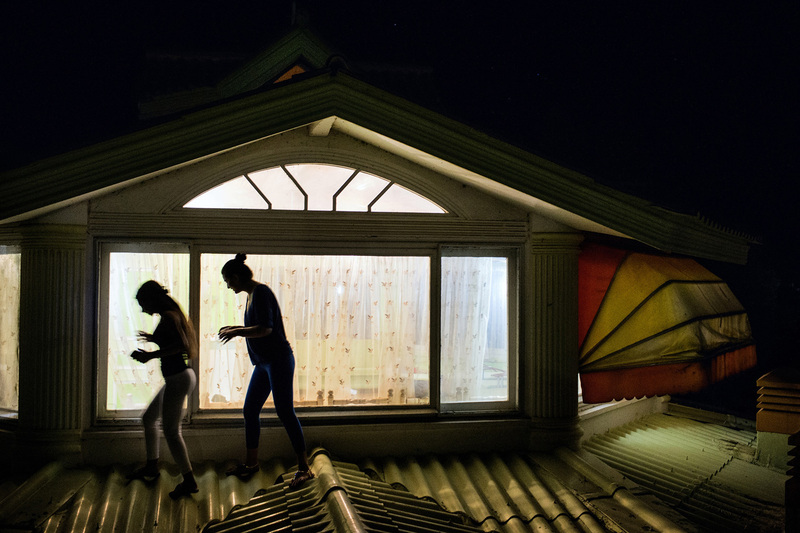 Two young girls walk on the ceiling of a villa in Northern Iran, after they partied there, hidden from the elderly. While the “Arab Spring” is still present all over the media, we don’t hear much from a political upheaval in Iran. Iran, where after the Presidential Elections 2009, millions of people went on the street and demonstrated for liberal reforms in the country. Even not in the time when international embargoes cause severe existential problems for the Iranian society’s working class. The Washington Post then referred to the Iranian youth as “couch rebels” who prefer to share photos of protests on Facebook rather than going on the street and protest for a better life. But while Hollywood productions such as “Argo” or “Not without my Daughter” discredit the Iranian post-revolutionary society, the unmet wish of liberal reforms and freedom has led this young generation of Iranians to organize their needs in a matchless underground scene. The scene reaches from 50 people gatherings where every major brand spirit is served, to underground music bands such as „Garage480„ who spread themselves over social networks. 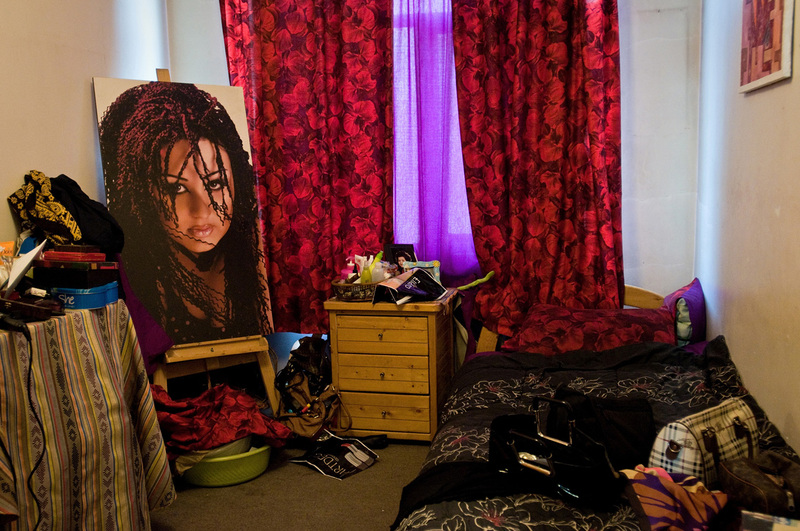 The upper and middle class of the population, where most of the “couch rebels” come from, can survive the severe economic conditions materially. Thus they have given up the aim of diametrical changes as the constant fear to lose even this option of living their materially sophisticated life and become a lost generation as happened in Syria is their daily companion.